Diabetes is a serious life-long health condition that occurs when the amount of glucose (sugar) in the blood is too high because the body can’t use it properly. A major complication of diabetes is the increase in cardiovascular disease including heart attacks and stroke. Cardiovascular disease can be caused by narrowing of arteries through gradual build-up of fatty material within their walls. If left untreated, these conditions can cause serious health complications. 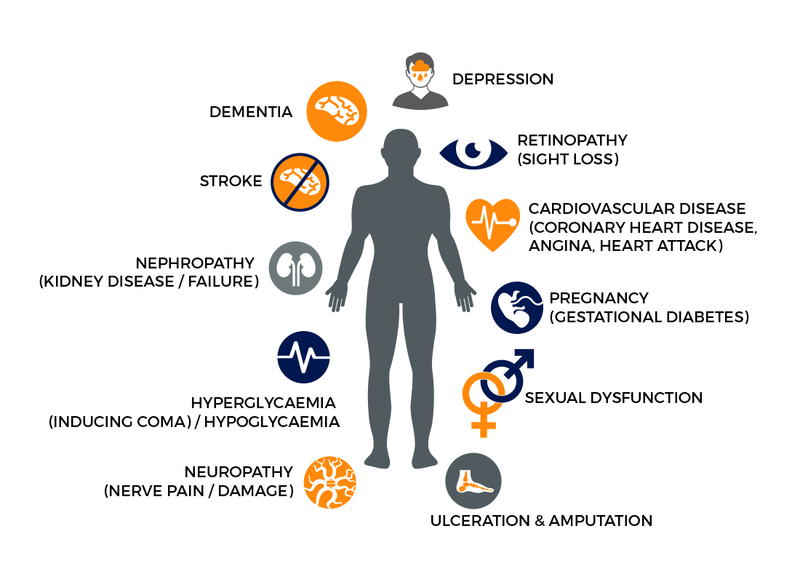 These may include hypoglycaemia, hyperglycaemia (inducing coma), and deterioration of the eyes (retinopathy), heart (coronary heart disease, angina, heart attack), kidneys (nephropathy), nerves (neuropathy, sexual dysfunction), lower limbs (ulceration, amputation) and brain (stroke, dementia, depression). Radisens’ novel Gemini device will allow professionals monitor these parameters from a drop of patient’s blood.